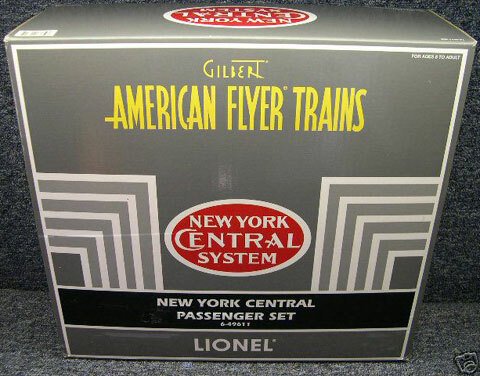 Lionel made the New York Central passenger set in 2002.
and four cars (combination, coach, vista dome, and observation car). All of these cars and engines were sold only in the set. #48133 New York Central powered Alco made in 2002 bearing the number 4202. Matching #48134 dummy A Unit; I can't make out its number. New York Central coach car and combination car. Unlike most of the later streamlined passenger cars, these were numbered but not named. 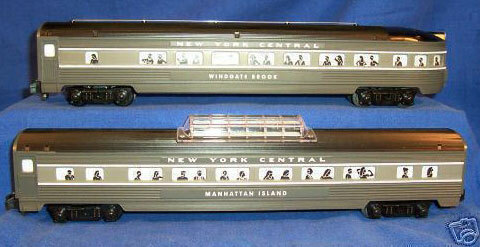 New York Central observation car and vista dome car. 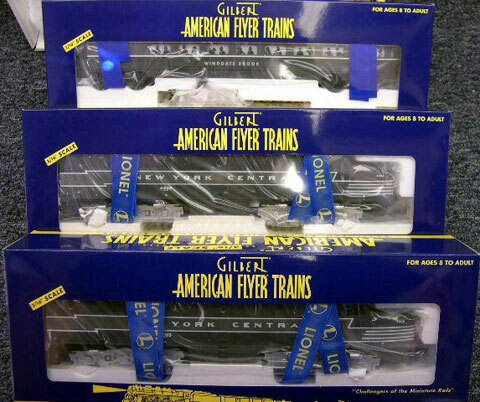 A matching dummy PB engine and three passenger cars car were sold separately later in 2002 and in 2003. #48135 dummy B Unit made in 2003. 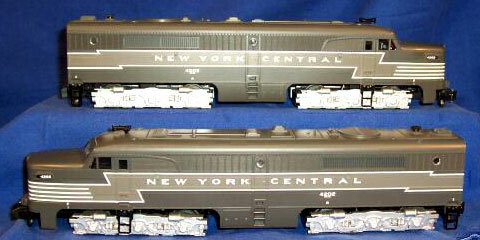 #48961 New York Central Passenger Car 2-Pack (dining car and coach) made in 2002. 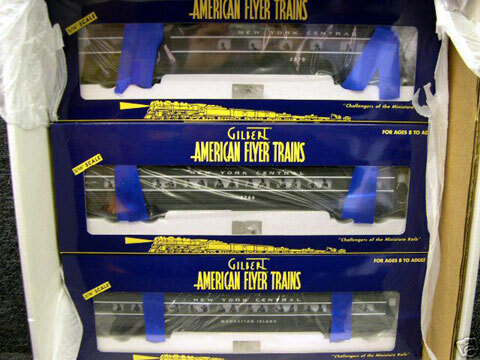 #48964 New York Central Baggage Car made in 2003.